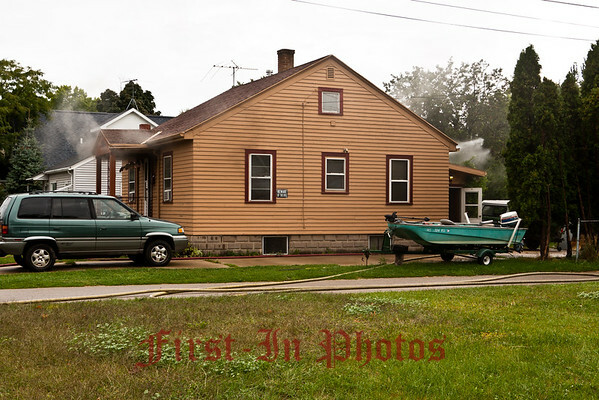 GBFD responded for a report of smoke and flames from a house. Upon arrival Ambulance 421 found smoke showing with flames on the C-side . Ambulance 421 then established command. Engine 421 was attack and the fire was quickly knocked down.